After an extensive proposal and vetting process, our group and Westbank were given the distinct honour to redevelop Vancouver’s Woodward’s building. The famous landmark in historic Gastown serves as one of the city’s greatest social and creative hubs. Henriquez Partners Architects did a spectacular job designing approximately one million square feet of market and non-market residential units, institutional space, office suites and retail storefronts. 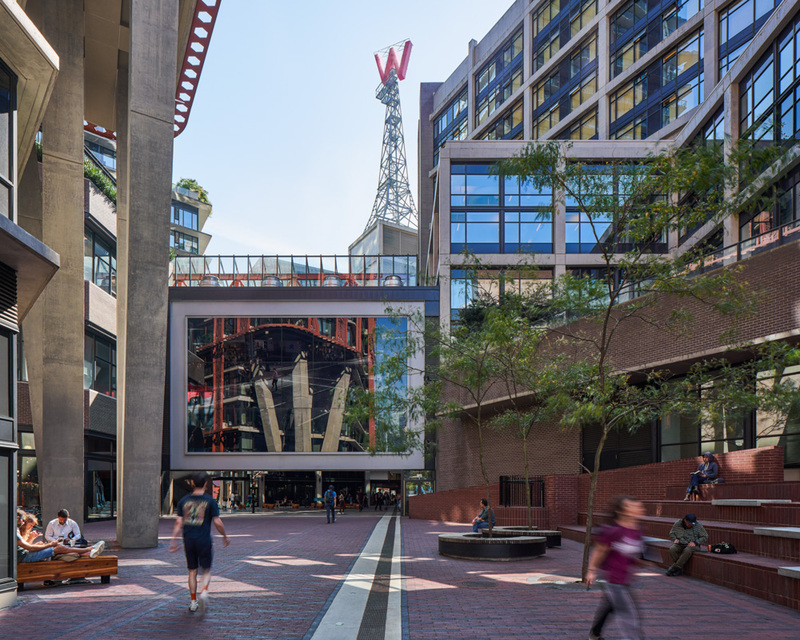 Woodward’s atrium is the centre of the development—it is a bustling and vibrant gathering place for everyone from students to artisans to musicians. Community-focused features like this have sparked significant economic, social and physical improvement in the downtown eastside. Visitors and residents of Gastown cannot miss Woodward’s iconic red W hovering over the distinct, lively neighborhood. It points people to Vancouver’s best area for boutique shopping, craft coffee, unique and contemporary dining and local art.